Check out my latest piece in Daily Life where I reflect on the desi craze for skin whiteners. I’m proud to have made it into a mainstream news site with the phrase ‘desi’ unedited. For those who don’t know, desi has come to refer to anyone from the subcontinent. Basically desi is brown. Here is the full story below. Also worth checking out is Nandita Das’ website where she talks about the pain of remembering her skin referred to negatively in every conversation. As a teen I remember going to the local spice shop and buying a small pink and white tube of skin cream. As I would apply the lotion, the bleach infused cream would sting my skin before drying into my face. 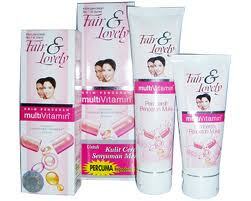 The cream was Fair and Lovely, a whitening product used to cater to the subcontinent’s obsession with fair skin. Unlike positive desi imports like samosas and chutney, the sinister preference for fair skin has been carried into the west by diaspora desi communities to devastating effect. Whilst the preference is more pronounced among first generation migrants, the message to younger women is clear. Fairness is synonymous with beauty. To be beautiful one must be light-skinned. Fair skinned girls were marriage material. The new Dark is Beautiful campaign in India supported by Bollywood actress Nandita Das, aims to challenge this view and stem the desi craze for whitening creams fed by the notion that success and beauty is synonymous with fairness. In India the preference is not only skin-deep but involves systemic discrimination. Darker-skinned people face social taunts and ostracisation, find it harder to get jobs and attract a partner, with personal ads going into excruciating detail, stressing ‘fair’ or ‘wheatish’ complexion credentials. Whitening creams are regularly promoted by India’s celebrities, with men too facing the pressure to be fair. Fair and handsome has also been launched into the market, promoted by Bollywood heartthrob Shah Rukh Khan, who is shown advocating the cream to a star struck fan who wants some of Khan’s glamour to rub off on him. The dejected fan tries the product and is transformed into a confident stud, lighter-skinned and awash in female admirers. For the young women I knew, the pressure fed our already existing adolescent insecurity. It was a quiet competition. I saw hidden tubes in bathrooms, evidence of the quest for societal affirmation the fair skinned seemed to get from the adults in our lives as well as from Bollywood films and satellite television, awash with fair-skinned starlets that represented the epitome of beauty and glamour. It set the scene for a toxic and sometimes self-loathing relationship young desi women had with their bodies and faces. We weren’t reflected in the Aussie magazines like Dolly, Cleo or Cosmo and neither where we realistically reflected in the media from the homeland. The fairness game had serious casualties, with risks of burns, rashes and permanent skin damage. I remember a young woman who came from a summer holiday in Pakistan bleached at least ten shades lighter, her already light skin, a strange chalky pallor. While I still catch myself getting worried about getting sunburned, I grew out of this phase as I developed a feminist consciousness, becoming aware of the dangerous beauty myths being sold in these tubes and by my society. Interestingly, the Hindi and Urdu word for a fair desi person , “gora” or the feminine “gori” is the same for “white person” though it’s used more as a adjective than a noun. To Anglo people the preference seems nonsensical, gradations of skin colour in the brown spectrum almost negligible. But African American women also complain of similar pressures and the preference for the lighter skinned in their community. It’s easy to see this stemming from the complex relationship minorities share with dominant society which transmits messages of desirability. It is up for debate whether the preference for fair skin in the subcontinent is a colonial hang-up or predates it, reaching back perhaps into a complex history of centuries of caste and class-based social hierarchies. But just like the ‘Black is beautiful’ slogan popularised by 60’s black feminists became a rallying call, I hope the ‘Dark is beautiful’ or ‘Brown is beautiful’ call-out becomes just as celebratory for the young men and women struggling to see the beauty in being brown. I love this Sarah! Amazingly written and, of course, content-wise: on point. Wow, reading this brought about an onslaught of memories that Id rather have left behind in Pakistan. No matter what your background, fair skin is the way to go as a girl growing up in Pak. Things are changing with regard to this, but not fast enough for my liking. thanks FlyinGenie- It’s interesting I’m getting feedback from lots of non-desi, non-anglo women who also relate to the issue. Anam- appreciate your feedback, the issue is definitely more pronounced in India and Pakistan and it’s sad to see those views imported locally, and having to deal with it growing up in Oz. Thanks for that perspective L-agree that a lot of what is seen as desirable depends so much on social context. I think it’s important to note the body image/skin issue is not confined to desis. The flip side- Anglo women subject themselves to painful, cancer inducing solariums to meet physical ideals of tanning which represent ‘health’ or a privileged leisurely outdoor lifestyle in the west.